The Micro-Mini Winnebago Warrior came in three floor plans and was advertised as an entry-level unit. 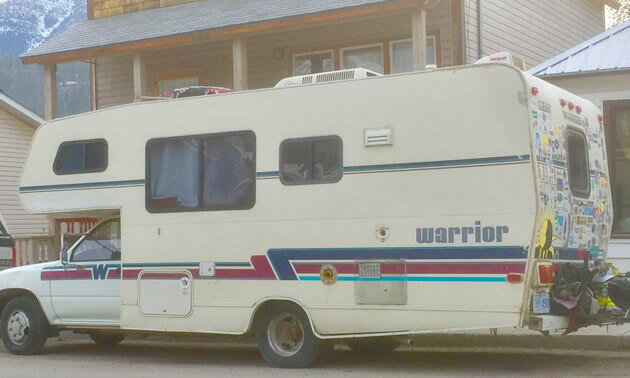 The Micro-Mini Winnebago Warrior has a bit of cult-like following, so when I recently spied a model in the alpine skiing town of Fernie, B.C. I had to stop and snap a picture. Looks like it could be serving as “ski bum chalet" in the winter and an adventure traveller in the summer. By the array of travel decals on the back I would say this Micro-Mini Winnebago Warrior has lived up to its name – a true road warrior. This model is also known as the Mini-Winnie-Warrior, as well. Interestingly, Winnebago saw the Micro-Mini Winnebago Warrior motorhomes as an entry level unit for first time RVers. They reasoned that if young customers loved the Micro-Mini they may just upgrade to a full-size Winnebago model the next time they purchased a RV. 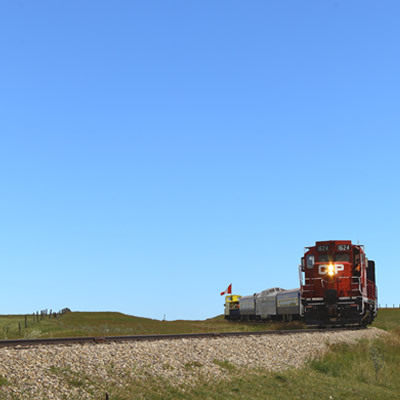 “The new 321RB has large picture windows on both sides, for a great view of the scenery. Note the integrated tail and running lights, rear bumper with dump hose storage, rear mud flaps and large storage compartments behind the driver’s door – all standard. 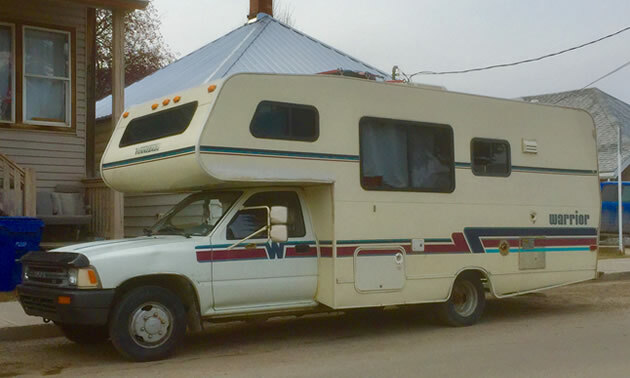 The Micro-Mini Winnebago Warrior came in three floor plans, noted by their unique model numbers: 321RL, 321RB and 320 RB. 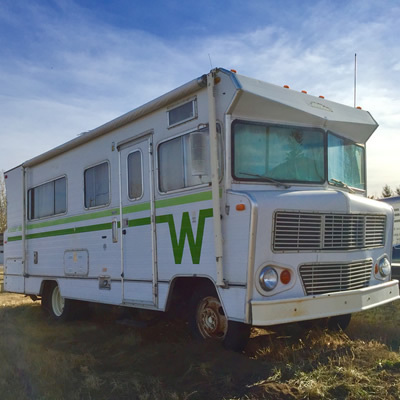 It’s not every day that you come across a sweet-looking “flying W” Winnebago classic motorhome. 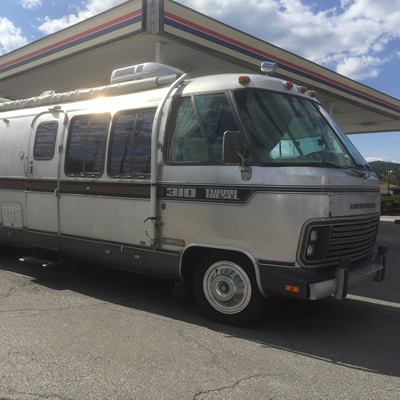 John and Carol Meyer have traveled all over the Pacific Northwest and beyond in their classic 1982 Airstream 310 turbo diesel motorhome.